While healthcare providers tend to agree on the importance of patient-centered care, many struggle to balance increased efficiency and productivity with positive patient experience and satisfaction rates. Yet, the experience of the patient is the most basic measure of how well a health system or care pathway is performing. This follows the simple logic that a satisfied patient typically reports good waiting times and a fast or first-time-right diagnosis, with an effective treatment. Also, for a health system, a satisfied patient tends to correspond with efficient workflows, higher staff retention and a successful medical outcome achieved at the right cost. This is the essence of value-based care – it requires a more complete approach to healthcare innovation that encompasses lean workflows and performance management with intuitive and compassionate healthcare design. Radiology and imaging centers provide a good case study in the re-evaluation of healthcare technology investments and workflows focused on a “patient-first” approach. Magnetic resonance imaging (MRI) machines, for example, can be one of the most intimidating patient environments. In a study evaluating 172 patients undergoing diagnostic exams, 69 percent experienced high levels of anxiety, which can lead to hyperactivity of the autonomic nervous system and produce symptoms that can directly influence exam results. Loud noises, stark environments, and claustrophobic surroundings don’t help to soothe an already anxious person. 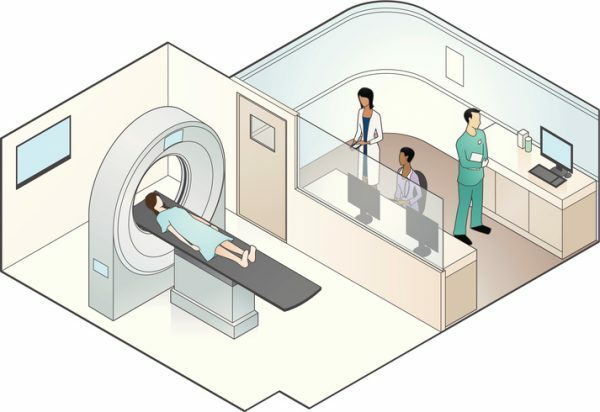 MRI machines are not only anxiety-provoking but are also very sensitive to patient motion, mandating absolute stillness for high quality, readable images. According to a study published in the Journal of American College Radiology, patient motion affects the image quality of an estimated 10 to 42 percent of MR sequences. Because of these degraded clinical MR exams, hospitals stand to lose upwards of $140,000 per year, per imaging machine due to patient motion resulting in MRI rescans alone. Rescans are not only expensive and redundant for hospitals, they are also largely preventable when a patient is comfortable. For decades, it was just assumed that discomfort and anxiety were necessary evils of certain medical procedures like MRI scans. As newer medical technologies developed, comfort came at a price, or simply not at all. Over time, however, it’s become increasingly clear to hospital executives and clinical staffers just how important the patient experience is, both in terms of providing quality care and in improving accuracy, variance, and diagnostic outcomes. In an effort to improve the patient experience and reduce rescans, Herlev Hospital enhanced its MR suite by applying advanced technology to the most stressful part of the MR scan, the moment a patient enters the machine, (referred to as in the bore’). Such technology incorporates dynamic lighting, projection, and sound, and is specifically designed to help keep patients still, calm and less anxious before and during the scan. The in-bore solution creates an immersive sensory experience from the time patient enters the machine (the peak of anxiety) all the way through the end of the exam. After incorporating the in-bore solution, more than 90 percent of patients at Herlev Hospital reported a “better” or “much better” level of comfort during the scan. But patient satisfaction is not the only metric the solution addresses. To prove this impression, Herlev Hospital compared the number of interrupted exams among various scanners at the facility both before and after installation of the in-bore solution; post-implementation showed a 70 percent reduction in the number of interrupted exams. It all comes back to what we’re trying to achieve with value-based care: continually optimizing processes to provide the best experience possible for the patient while eliminating the inefficiencies limiting the effectiveness of our hospitals. By rigorously measuring systems and processes, we can identify these inefficiencies and then eliminate them through design. Rethinking imaging design and radiology departments is just one representation of what is possible when this approach is taken with the patient in mind and applied to a process that’s operated in the same way for years. By forcing this transition, a better MRI experience is now a reality – one that can eliminate system variance and offer a better understanding of the clinical workflow. Truly achieving value-based care will hinge on finding this balance between patient-centered approaches to design and innovative processes that offer lean workflows.